2 Bedroom Detached Flat For Sale in St Austell for Offers in excess of £700,000. 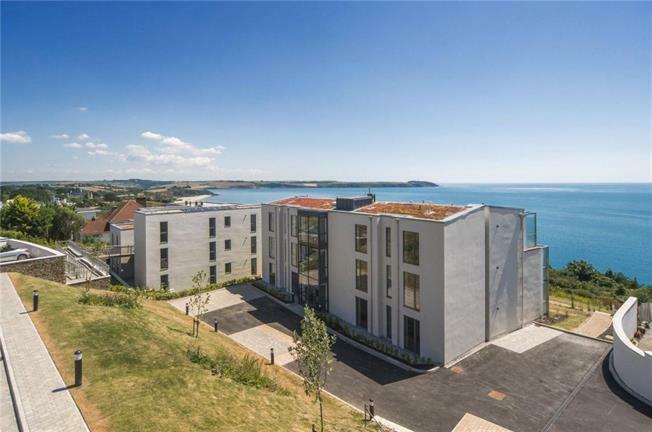 These superb luxury 2 bedroom apartments which offer unparalleled views across Carlyon Bay, and are located in one of the most sought after addresses in the South West will soon be ready for viewing. The Contemporary interiors with Bosch and Miele appliances and designer bathrooms by Villeroy & Boch,have been carefully designed to fully maximise the incredible views with full floor to ceiling glass frontage with doors opening onto wide balconies offering ample space to sit and drink in the view. With on site parking, communal gardens and access to the coastal path these really are not to be missed. Please contact us now to register your interest for an exclusive invite to the launch weekend. Cliff House is a stunning newly built property nestled against the dramatic English Channel . The 8 apartments are all two bedrooms and feature a range of layouts and finishing features. Cliff House provides a unique curved façade with each apartment offering a completely different outlook to the next. The range of two bedroom apartments offer alternative layouts to suit every buyer. There are 3 apartments on the ground floor, 3 on the middle floor and 2 penthouse apartments available. Cliff House has the additional facility of a lift services all floors. Each apartment has its own character with all benefitting from a large balcony to take full advantage of the south facing sea and coastline views. Cliff House is located on the desirable Sea Road, and as such benefits from the lifestyle that comes with it. Private roads flank the development, yet you are far from isolated and still in easy reach of all local amenities. Everything from independent village shops selling arts and crafts, to Middle Eastern restaurants and Yoga retreats can be found nearby, while the charming late Georgian working port of Charlestown is just a short and lovely walk along the South West Coastal Path. The future Carlyon Beach development will bring more culture to the area, including theatre and live music events on the beach. See www.carlyonbeach.com for more details.